Al Otaibi ... moving into specific new areas. Al khobar-based Pan Gulf Industrial Investments Company (PGII) plans to list on Saudi Arabia’s Tadawul Stock Exchange on December 2016 in what is described as the latest momentous step for the industrial investment company. PGII’s managing director Salah Al Otaibi believes that the journey towards the initial public offering (IPO) is an opportunity to reflect PGII’s role and responsibilities within the group structure and to plan its strategic priorities going forward. “We see ourselves as an industrial investment group,” he stresses, noting that the future strategy for PGII will revolve around seeking opportunities by acquiring stakes in manufacturing assets in Saudi Arabia. By achieving this, PGII is expected to become the pivotal part of Pan Gulf Holding (PGH), a SR2-billion ($533 million) empire, which serves three main sectors – industrial (through its 99 per cent stake in PGII), food and telecommunications. PGII is a conglomerate of eight industrial companies that are active in manufacturing, servicing and trading high-quality engineered products that include all types of valves, process equipment for the oil and gas sector, steel structure fabrication, skids design and manufacturing, plant shutdown maintenance, in addition to various other specialised products and services. PGII is also considered as a major supplier for piping products, fire safety and security products and welding solutions services. Its client list includes many prestigious companies that operate in various economic sectors in Saudi Arabia such as oil and gas, refining, petrochemical, power, mining and desalination. Al Otaibi believes that with the current government strategy of focusing on economic diversification through local industrialisation, these and other sectors are expected to experience significant growth in the future, which presents significant investment opportunities for the company. Diversity is a safeguard against oil price fluctuation and uncertainty. In PGII’s case, the breadth of the company’s client list across the industrial spectrum – both upstream and downstream – has helped it mitigate continued oil price volatility over the past period. “We are cushioned (from oil price volatility) because we are not dependent on a single client,” Al Otaibi points out. “We firmly believe the Saudi (industrial) market is expanding, and in response we are expanding vertically and moving into specific new areas. In particular, we are looking to add value to the operations of local manufacturers by making certain strategic investments in them,” he explains. Al Otaibi says PGII sees considerable scope, for example, in the kingdom’s aluminium sector, given ongoing developments at the industrial city of Ras Al Khair in the Eastern Province, and in particular the joint venture between Ma’aden-Alcoa. He concedes that the limited availability of industrial land presents challenges of sorts, but the outlook is overwhelmingly positive. “PGII is evolving. We’re changing our philosophy, our mindset. We have a different set of goals and objectives, some of which are driven by market mechanisms but mostly because we are proactive. Today, the competitive edge of any company lies in its ability to read the future. Understanding our strengths, our capabilities and our position in the market is integral to our ability to capitalise on opportunities. Change comes from within. We like to see ourselves as dynamic. We are not sitting in our castles waiting for change,” Al Otaibi says. 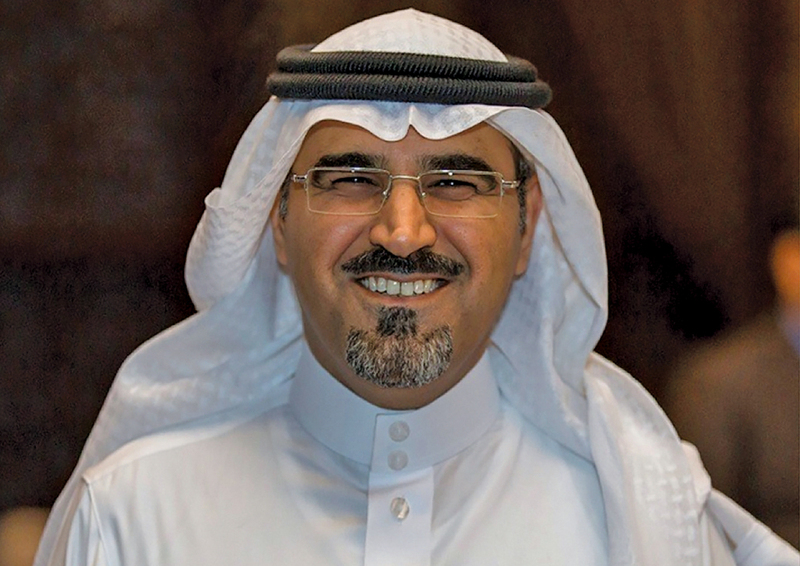 It will be up to the complementary skills and experience of the PGII management team, headed by chairman Khalid Al Hamdan and Al Otaibi as managing director, to steer the PGII ship into new areas of opportunity; further leveraging the synergies that already exist between the group entities and ensuring closer synchronisation of their models in addition to achieving economies of scale. So while Al Otaibi admits that the provisioning of skilled manpower remains a challenge in Saudi Arabia following last year’s labour reforms, he stresses that the recruitment and, more importantly, the retention of Saudi cadres is vital for long-term corporate health. Al Otaibi says that of the eight companies under the PGII umbrella, three are at Platinum level in the nitaqat scheme, which is a recognition of the company’s efforts to retain Saudi employees and offer them work opportunities that are in-line with the Saudi market’s needs. “Saudis with two or three years’ experience attract a significant premium (in the market),” Al Otaibi acknowledges. He stresses, however, that PGII’s future successes will be built on diverse foundations. “Diversity is in our DNA. We see ourselves as the ‘United Nations of Industrial Investment’! We’re seen as a good employer. We’re ethical and people want to come and work for us,” he explains. As it channels its energies into industrial investment, Al Otaibi – himself a graduate of the prestigious King Fahad University of Petroleum and Minerals (KFUPM) – stresses that PGII will not deviate from its core business philosophy of combining local knowledge with global best practices – a proven route to success for the group in its incarnations as Pan Gulf Holding and Saudi Pan Gulf since the 1970s. What he hopes will change, however, is the perception of PGII among stakeholders in the kingdom and further afield.